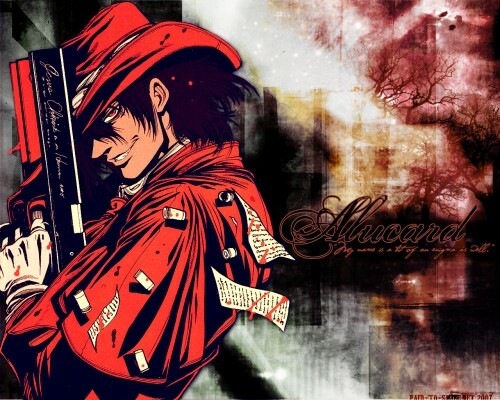 The scan for this wallpaper comes from the Hellsing Illustration Art Book. I didn't draw it. Alucard gets the spotlight we all know he wants. The quote comes from the end(ish?) of Episode 9 of the first Hellsing anime. aluard! just can't get over you! Brilliant picture of Alacuard, thanks.